Huge gratitude to Talking Pictures TV for screening ENCHANTMENT (1948), which I don’t think I’d ever heard of, directed by Irving Reis, who was merely a name to me. It’s been a while since I discovered a 40s Hollywood film that was a revelation to me. 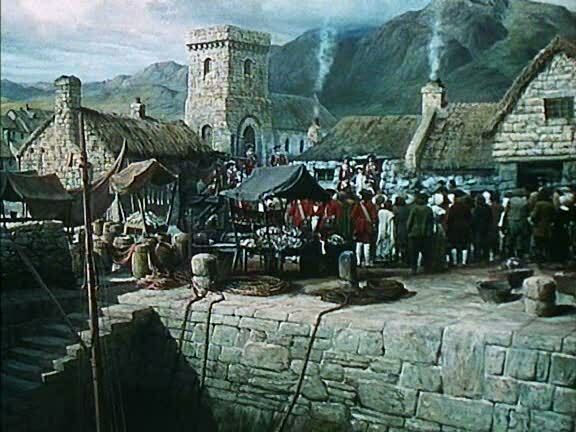 It’s based on a Rumer Godden novel — one might think her an extraordinarily fortunate author in her adaptations, except I don’t think she liked any of them, certainly not BLACK NARCISSUS, which maybe affirms some part of the auteur theory by transmogrifying wholly into a Powell & Pressburger joint. Though it’s certainly possible to like both book and film. But Rumer didn’t, is my point. It’s also a Goldwyn production, and stuffed full of his favourite talent — not Danny Kaye and Virginia Mayo, you understand, but David Niven (DODSWORTH, WUTHERING HEIGHTS), Teresa Wright (THE LITTLE FOXES, THE BEST YEARS OF OUR LIVES) and Leo g. Carroll (WUTHERING HEIGHTS again), the whole being shot by Gregg Toland (most of the above). It’s basically a William Wyler movie without Wyler, which might be useful in assessing his contribution to the films he made for Goldwyn, except I’d rather just rave about this one. Oh, and the cast also includes Evelyn Keyes, who is delightful, and Farley Granger, almost equally so only in a moustache. I’m not always anti-whiskers — David Niven doesn’t seem complete without his lip-caterpillar, for instance, but the more hair you put on Farley’s face, the less of Farley’s face you see, and that has to be counted as a loss. For some reason the Blitz seems a time of romance, which is crazy — bombs falling from the sky onto human habitations are not romantic — but there it is. I’ve been reading Connie Willis, who suffers from the same inappropriate yearning for tumbling ordinance. 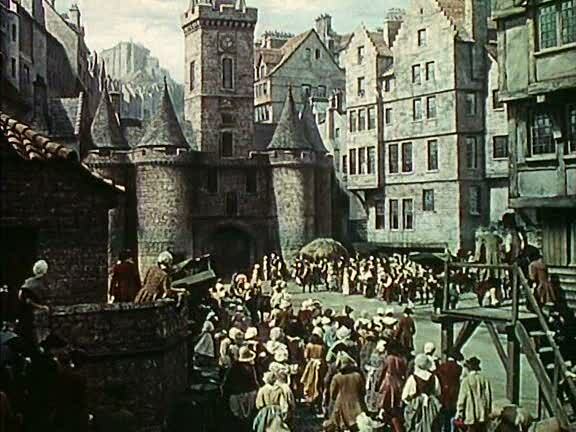 This movie is framed by the war, but glides from thence into flashbacks going back to Victorian times. Niven is barely recognizable (save for that lightbulb cranium) in the contemporary sections, wrapped in a rather convincing make-up and giving a thoroughly convincing performance of old age. His voice is completely unrecognizable, save for a few moments when his distinctive way with a line creeps through. 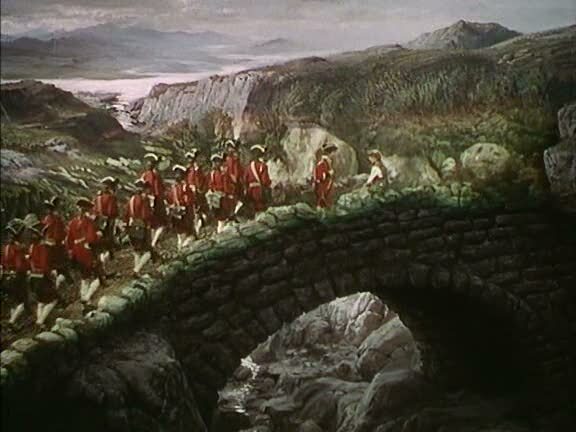 The leaping about in time is accomplished with a lot of adventuresome skill, some of which may be accredited to Toland, who after all had CITIZEN KANE to his credit. And so we get temporal shifts delivered with lighting changes (before Death of a Salesman) , and one extraordinary bit where the camera pans out of flashback into present tense in a single unbroken shot, the kind of thing very rarely seen in the forties — THE LIFE AND DEATH OF COLONEL BLIMP is the best-known example. And a lovely moment where we a scene fades out except for a character’s hand, which lingers momentarily like the Cheshire Cat’s grin or the blind hermit’s cross in BRIDE OF FRANKENSTEIN, then dissolves to another image of a hand, and irises out in a new scene. That trick turns up in HE WHO GETS SLAPPED, but practically nowhere else in screen history. Evocative effects-work for the Blitz scenes. Also, for fans of eccentric forties storytelling (David Bordwell), it’s narrated by a house. That would have been enough to make me love it, but there’s so much more. What other Reis ought I to see? I’ll be all over THE BACHELOR AND THE BOBBYSOXER, of course, but are there other gems? 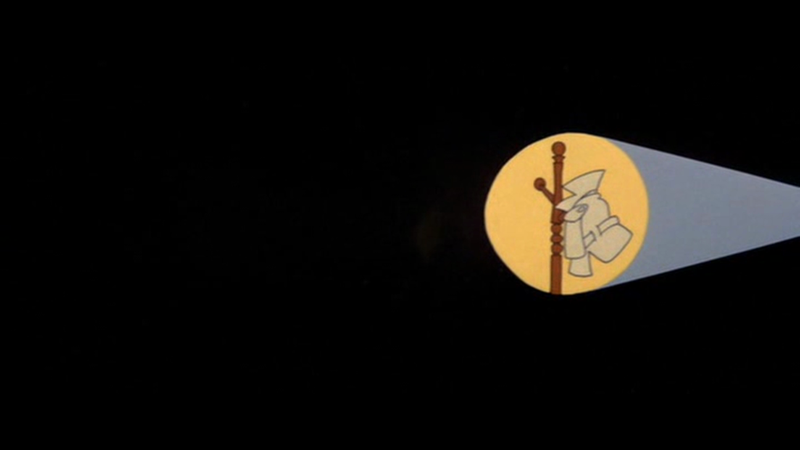 My purpose is not to claim that there is a curse on THE CURSE OF THE PINK PANTHER, as there is supposedly on SUPERMAN and THE EXORCIST and PETER’S FRIENDS – though quite a few of the principals involved have suffered mishaps and tragedies which come to mind dispiritingly as one watches. 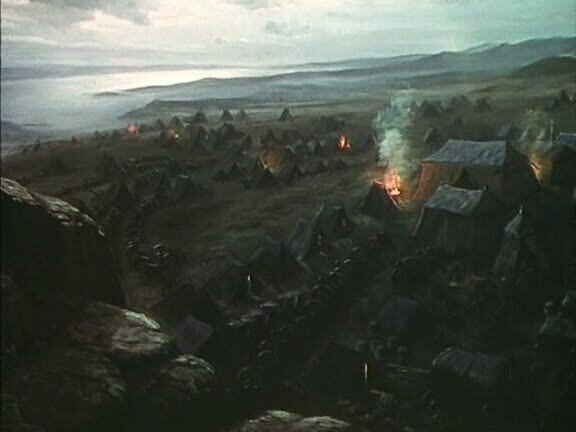 But no, my intention is to demonstrate that the film is itself the embodiment of a curse, visited upon its director and transmitted by him to all who have the misfortune to watch. 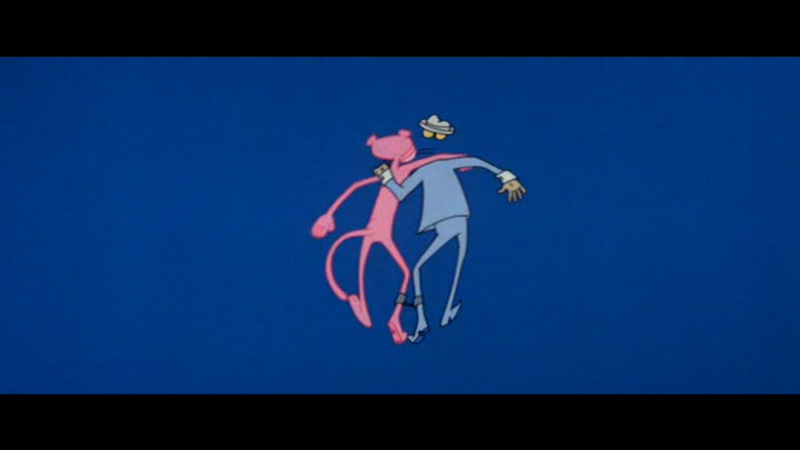 The later PINK PANTHER films – and by “later” I have to mean pretty well anything after A SHOT IN THE DARK – are more compelling as psychopathology than as cinema, dark portraits of a talented filmmaker somehow compelled to revisit what was far from his favourite creation, working with a difficult, tormenting collaborator (Peter Sellers) again and again, and then repeating the experience after his star’s death as if attempting some inconceivable combination of exorcism and resurrection. After THE TRAIL OF THE PINK PANTHER, in which Joanna Lumley, sporting a frankly unacceptable French accent, roved around the world dropping in on guest stars from previous episodes in order to “motivate” a series of flashbacks and outtakes from those same episodes, it seems unlikelythat the world was crying out for another instalment in the Clouseau necrology, but Blake Edwards goes to the well once more and duly fills his bucket with sand. Sand played by Ted Wass. It’s hard to assess Wass as a Sellers replacement, other than to say that he’s obviously no replacement. He has, it seems, a certain gift for physical comedy, and is a good bit more athletic than Sellers ever was, so that he requires less stunt doubling. He seems affable enough. But the gags are almost as weak as the plot (Wass, as Detective Clifton Sleigh, has to hunt the missing Clouseau, a blind alley of a comedy narrative idea unless the film’s going to end up at Sellers’ grave) so we get little sense as to his abilities. The script makes him a kind of bumbling Clark Kent nice guy, complete with glasses, which is a good deal less interesting as a concept than Clouseau’s mixture of arrogance, bigotry, intransigence, self-delusion and gnawing self-awareness – Sellers insisted that Clouseau deep down knows he’s an idiot, but must keep up this frantic pretence of competence, which is what makes him a grand figure. Sleigh is a nice guy and a failure and he knows all of this. If we feel a little sympathy for him and want him to make good, that’s fine, but there’s no exciting tension to our relationship. Every sequence in the movie seems to revolve around mannequins, puppets, clones and travesties. Wass visits the Clouseau Museum, which features dummies of Clouseau in his various disguises. 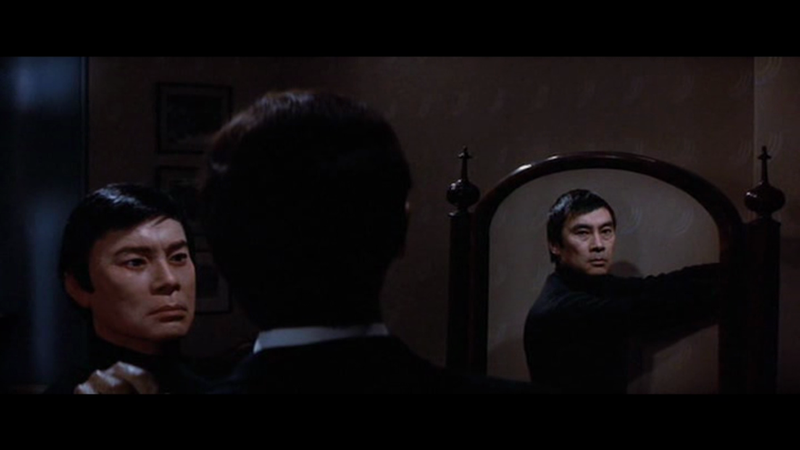 In the most outright uncanny moment in a film full of unwelcome chills, a dummy of “oriental assistant” Cato gets replaced by the real Burt Kwouk – but only its reflection in a mirror. The black-eyed masklike mannequin remains in position. A visit to the boutique of Hubert Balls, manufacturer of disguises, now transformed into the personage of Harvey Korman, provides more masks and body parts, and Wass picks up both an inflatable dog on castors and an “instant companion”, basically a blow-up woman who can be produced upon the instant to serve as cover in tricky situations. Cue deflation gags in which the rubber “Shirley” sags into a likeness of the ageing Dietrich as the air escapes from her, and the film. David Niven, of course, is less than he was and somehow more, a dying man with his croak of a voice replaced by impersonator Rich Little (he sounds a little American). After an interminable hour, a romantic interest is procured in the perky form of Lesley Ash (who has suffered horrible mishaps since which can’t even be detailed in this piece less despair take over). 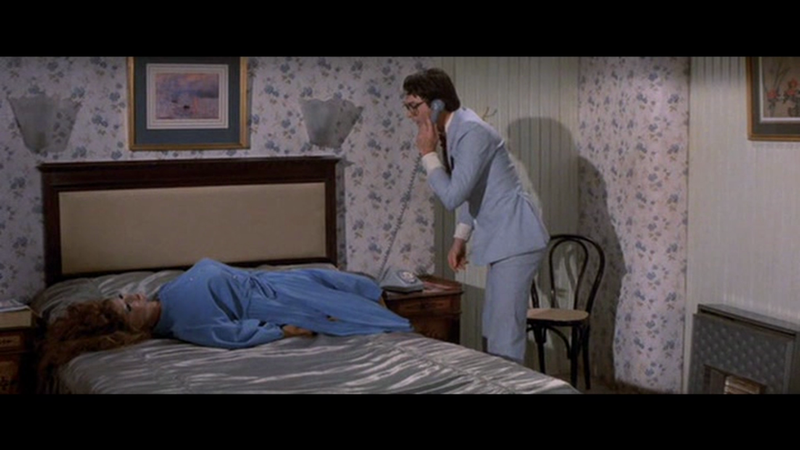 Clouseau was always funniest with women, I think, since his attempts to put on a front were apt to collapse with the most embarrassing consequences. Wass barely gets a chance to fluff it, since Ash falls into his arms so readily. 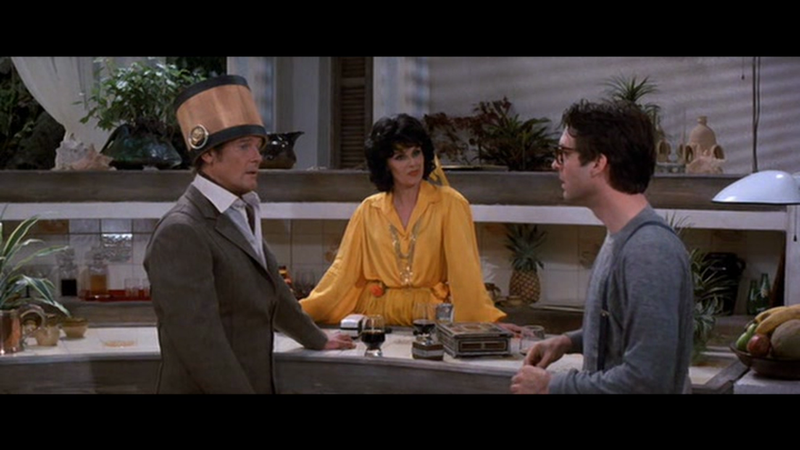 Robert Wagner’s curse is that he’s Robert Wagner, I guess. Not an actor I like to think of on a yacht, so here he is, on a yacht. Capucine, who showed such physical comedy flair in the original, and in WHAT’S NEW PUSSYCAT, is required to sit in a chair and mouth some exposition. A few years later she would be dead too. 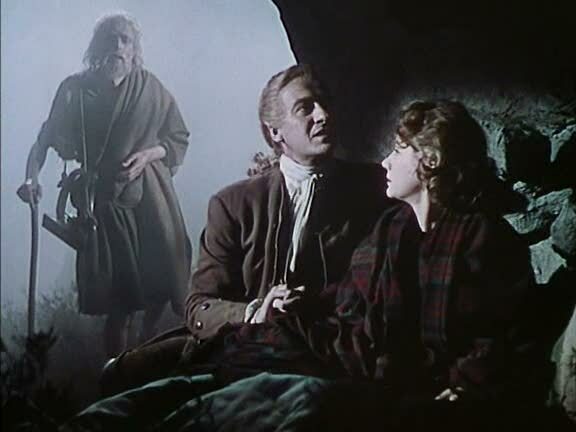 Also included: Herbert Lom repeatedly fracturing his skeleton. Graham Stark demoted to waiter. Michael Elphick (another tragic one: remember how good he was in THE ELEPHANT MAN?) as a Spanish police chief. Astonishingly, the quest for Clouseau does actually pay off, in what I have to admit is a kind of demented coup de cinema. Spoiler alert, here, because I was actually kind of impressed by the temerity of Edwards solution. Clouseau has undergone plastic surgery so as to spend his latter days in peace with Joanna Lumley, as who among us would not like to do? This plastic surgery has transformed him into Roger Moore. 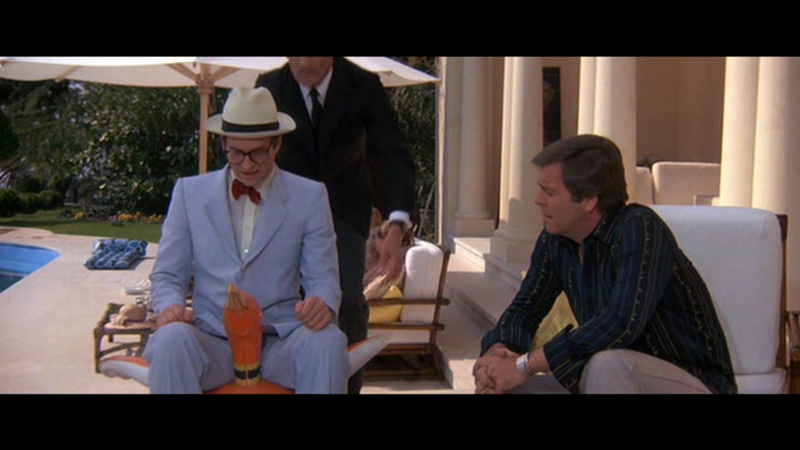 The actual Roger Moore, doing a very terrible Peter Sellers impersonation. Ted Wass meets Roger Moore and you have a scene of two bumblers and one Lumley, which surprisingly doesn’t destroy the entire set. And then it trundles on for ten minutes with some guff about the diamond. You remember, the diamond. So, Peter Sellers becomes Roger Moore, Graham Stark has become Harvey Korman, David Niven became Christopher Plummer then back to David Niven but with Rich Little’s voice. Claudia Cardinale seems to have become Joanna Lumley, but will be Claudia again in SON OF THE PINK PANTHER. And poor Ted Wass has become a footnote¹. ¹ This one, in fact.